Click on the images for more photos and virtual tours. Well designed home in the heart of close to the plaza, shops, and restaurants. This single level 4 beds,3 baths home offers an open kitchen/family room/dining room floorplan, plus an extra room for office, playroom or gym. Basement includes a custom designed wine room and storage. This prize home offers built-ins, gorgeous wood floors, vaulted ceilings, Chef's kitchen w/granite, and access to the large and private landscaped yard with deck. This Euro inspired 4bed/4ba, 3456 sqft villa is designed for comfort and elegance. On the main level, the dining room, living room w/ fireplace, study, guest suite, and chef's kitchen with large marble-top island, custom cabinetry, and breakfast room. Above, the master suite offers a fireplace, two private balconies, huge walk-in closets, and private retreat. There are two add'l bedrooms and bath. The grounds offer plenty of space for gardens. Lovely condo in Rincon Valley in an all-age family community. A beautiful home updated throughout. New windows, floors, cabinets, closet organizers, stainless steel appliances, plantation shutters, and so much more! This condo community offers 2 pools and is close to all city facilities and transportation. All this plus low HOA monthly fees makes this home a very attractive buy! 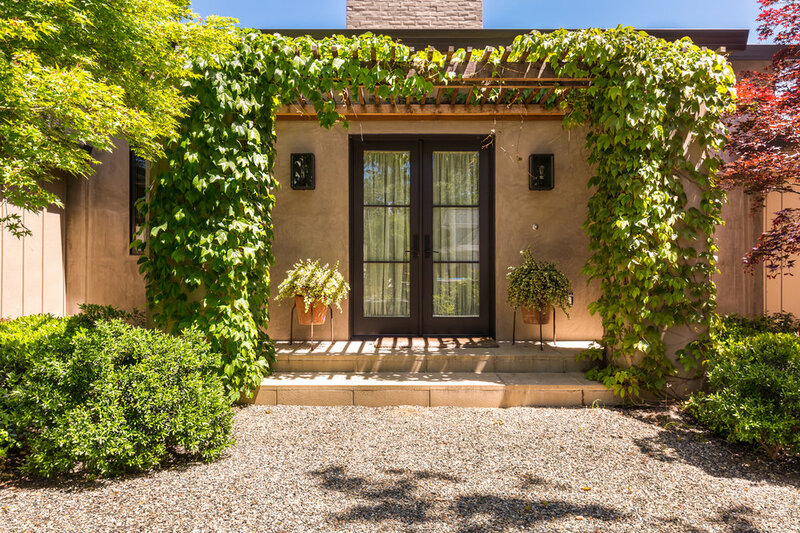 Perched behind a private gate, this Tuscan villa overlooks the beautiful Healdsburg Valley. On a little under an acre, this 3871 sqft home offers 4 bedrooms, 4 full bathrooms, a family/media room, dining and living rooms. The gorgeous outdoor area features a sparkling pool, outdoor pizza oven, gardens, and captivating views. Minutes from Healdsburg this sits on a hillside in the epicenter of Dry Creek Valley. There are 3 residences on the property, a main home & 2 cottages, all commanding unsurpassed valley views. Planted throughout the grounds, a hobby vineyard, expansive lawn, espalier trees, fruit and olive trees, abundant flowers and vegetables. Comforts like a pool, spa, & pond dot the 4+ acres, which also is home to a chicken coop and turn-of-the-century barn. Great home in a great location! Original owners have maintained this home with care adding a new roof,gutters, appliances, fresh exterior and interior paint, new carpet, built-in cabinets in 4th bedroom, jetted tub in master bath, closet organizers in master closet, pantry, shelving and storage in garage. Yard features pizza oven, RV parking, shed, entry and side pergolas, and fruit trees. This is a wonderful home! Sophisticated French farmhouse designed by Ben Dhong, minutes to Healdsburg Plaza. Epicurean kitchen includes limestone counters, waterfall island, pantry with subzero fridge, and custom cabinetry. Floor plan offers master bed/bath privacy and separate guest area. Finishes include marble slab counters, white oak vanities, and polished nickel faucets. Tone on tone wall coverings in guest rooms. Stunning landscape designed by Mike Lucas features outdoor living space with koi pond/fountain, kitchen island with Grillworks open fire BBQ, and expansive terrace for dining. Heated pool, garden rooms, raised garden beds, espalier fruit trees, Fitch Mountain views and full moon rising complete this wine country lifestyle. A perfect balance restoration and updating, this Estudillo Estates home is situated near schools, shops, and restaurants. Updates include high efficiency central HVAC, plumbing, electrical, windows, new paint throughout, and wood floors. Kitchen updates include new appliances, countertops, tile backsplash, and LED lighting. The downstairs bedroom offers a gas fireplace and French doors opening to the deck and garden. A rare opportunity! Just in time for the holidays, you'll find this 5bed,3bath, 3118 sqft on an 8800 sqft lot! Perfectly situated in the desirable Oak Park Estates, this home has been nicely updated with inside/outside fresh paint, brand new carpet, hardwood floors, granite countertops, two fireplaces, three car garage, and a newly landscaped backyard. Plenty of room to entertain with the formal living room, formal dining room, and nice sized family room. Adorable, completely remodeled home with a detached room. Bamboo floors, Viking stove, stainless appliances, pano doors that offer indoor/outdoor living to courtyard, granite counters, landscaped yard, everything new! Lovely and updated, 2bd/2ba, corner unit condo, centrally located. The remodeled open floor plan kitchen has newer stainless appliances, new counters, subway tile backsplash, tiled floor, and new soft close cabinets. There are gorgeous cork floors throughout, stunning bathroom remodels, walk-through closet in master bedroom, fresh interior paint throughout, private patio, a single car garage, pool, spa, clubhouse & fitness room. This is a beautiful home, turn-key ready! A modern wine country home offering “smart” features. Situated on .7 acres, this special property offers a huge garage and workshop with an attached office, RV port and chicken coop. The open floor plan design of the “Studio Shed” home is ahead of its time and designed to last a lifetime. Built with the highest quality and green materials. Accents include brushed aluminum hardware, concrete floors, on-demand hot water with a reverse osmosis filtration system. A U-Shape configuration, this home offers 2 full ensuite bedrooms and a detached laundry room. Great location for vineyard views and to build your wine country home. 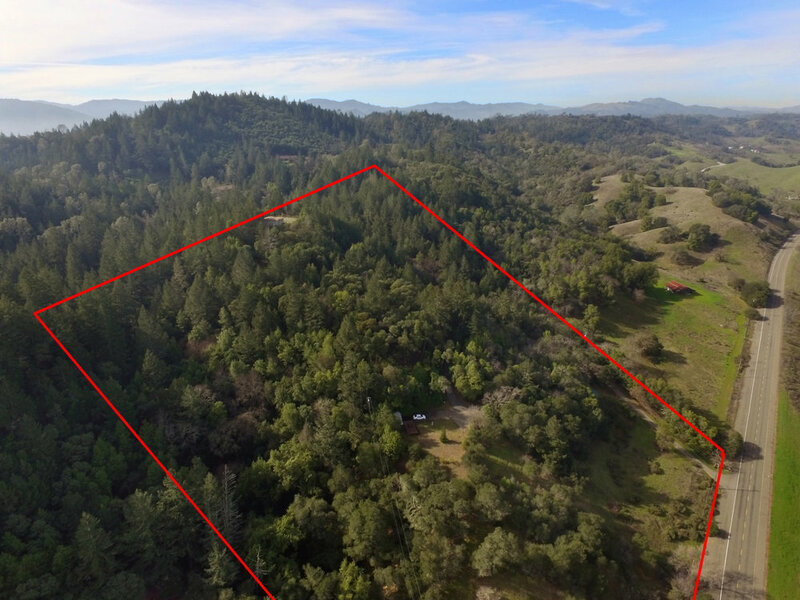 This 2-acre parcel offers a gentle downslope for building a lovely home in the heart of Dry Creek Valley. 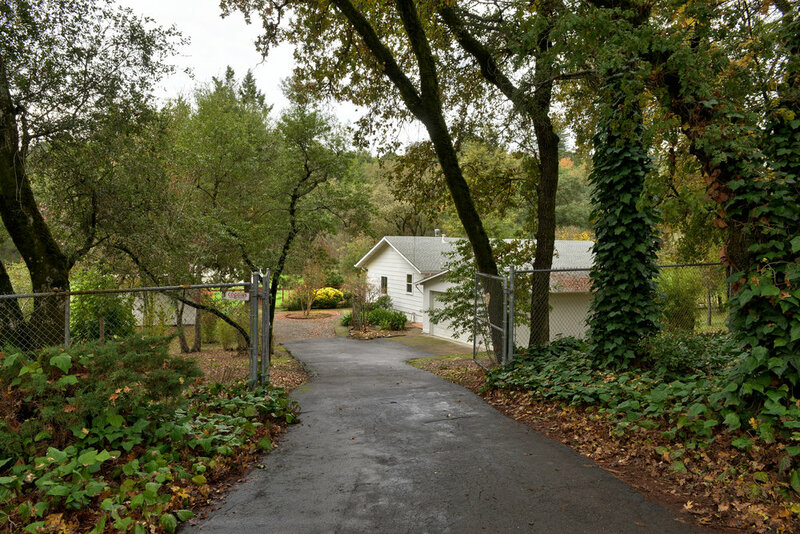 This gem is one of the last undeveloped small acreages left in Healdsburg. Beautiful bungalow on a .33 acre lot near the Healdsburg Plaza. The welcoming outside living space offers an area for dining, happy hour, a refreshing pool, and lounging. The interior exudes warmth and elegance with an updated kitchen and spacious living room with lots of light and gas fireplace. Situated down a private lane only minutes to the plaza, this special piece of property offers a cozy home with 3 bedrooms, 2.5 baths, on 3.44 acres, flat and usable land. Explore the extraordinary, a home that really does have it all! Location, style, AND a detached second home! The details: 2955ft., water feature with koi, hardwood floors, four bedrooms, three full bathrooms, wood-burning stove, beautiful exotic granite, and 2-car garage. All this situated in the gorgeous area known as Montecito Heights. 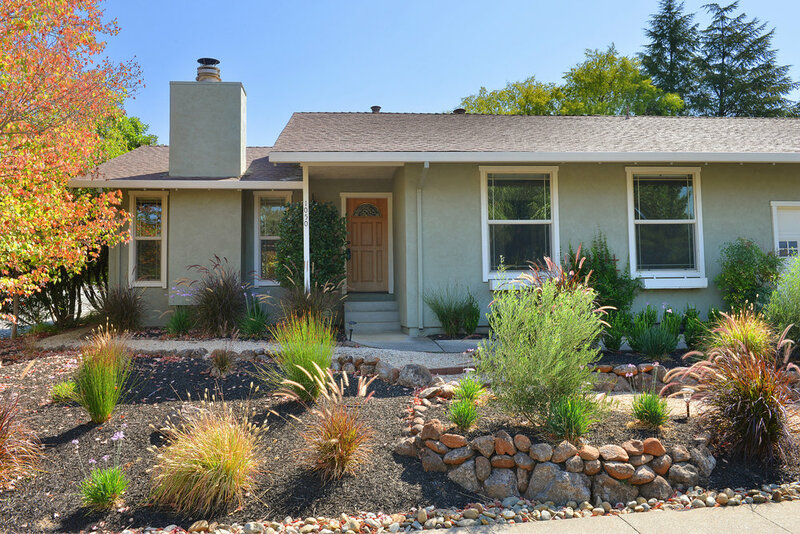 This Fountaingrove home offers tremendous potential, extremely convenient location and sprawling square footage. This home will delight the large family or executive couple. Situated on half an acre, there’s four bedrooms, four bathrooms, 2,916 sq. ft., formal dining room, formal living room, sunroom, den/office and a three car garage. Beautiful and spacious home on a 3/4 acre lot with sparkling pool and hot tub spa. Views, privacy, and a wonderful wine cellar complete this perfect wine country home. 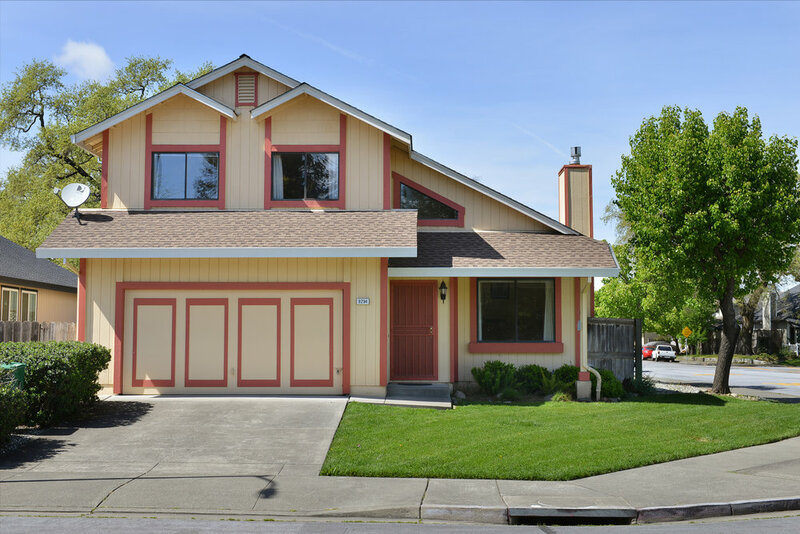 Lots of windows, gorgeous hardwood floors and upgraded cabinets are just a few of the many special features all situated on a park-like setting in Healdsburg. Fabulous opportunity to own a 3/2.5 well-cared-for home in the Lakewood Glen subdivision of Windsor next to Michael A. Hall Park and Brooks School. Cozy up to the fireplace, open kitchen and dining room with cathedral ceilings, large back yard, with a corner location. Close to shopping, grocery, schools, and parks. This one won't last long! Discover the alluring and enrapturing 1245 Brack Road estate. This storied enclave delivers a harmonious blend of vineyards, redwood trees, olive trees, and more. The neo-traditional farmhouse offers an understated elegance featuring 3 bedrooms, each with captivating vineyard views, and there is a kitchen perfect for the inspired home chef. Rarely found is the prized wine cave, a masterpiece, and home to the sought-after wines grown in your sun-drenched vineyard. To complete this brilliant dream is the glorious pool, superb tennis court, sauna, outdoor shower, and a separate cottage. Truly a hallmark estate! Built in 1950 and first time on the market! This quaint McDonald district home nestled on a very endearing street, offers 2bedrooms/1bathroom on a corner lot. This is truly a rare opportunity to own a piece of history in one of the most sought after neighborhoods in Santa Rosa! Embrace the good life in this lovely single level 1760 sq ft home. Spacious floor plan offers a great room with fireplace, living room, and dining room. Entertaining is a delight with open kitchen and dining area opening out to the huge patio and half acre yard. This style of home is rare to find in Oakmont! Lovely duplex in downtown residential Calistoga. This bungalow style duplex offers 2 units, 2/1. 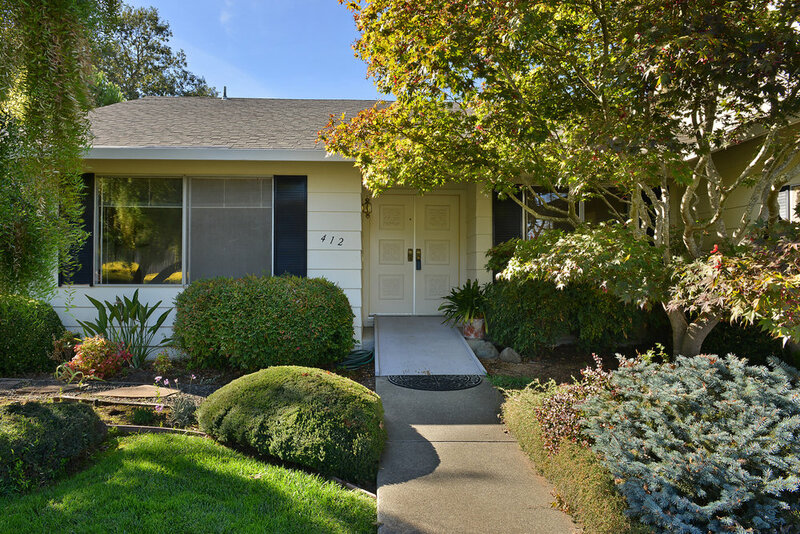 Rare opportunity to own affordable investment property in Napa Valley. A rare find! Not on the market since 1979, this single story, 3 bedroom and 2 bathroom home offers location and lots of potential. Situated on a large corner lot, amenities include a 2-car garage, covered patio, and family room with fireplace. Doll up this diamond in the rough and make it your own! Superb outdoor living space in this home offering three bedrooms, three bathrooms, a loft, formal dining room, living room, family room, breakfast nook, and spacious kitchen. Indulge this summer in the outdoor inground pool and prepare your meals under the stars in the outdoor kitchen. A spacious home with 2,241 square feet and tall cathedral ceilings. Offering 25 stunning acres of which 6 acres are dedicated to Zinfandel vines. All the components have been carefully added to nature’s graceful grounds. The sophisticated yet casual single story home offers 3 bedrooms, 3 and a half bathrooms, 2 offices and an open floor plan for entertaining. The genteel grounds can be accessed from many of the french doors out onto the wrap around deck and private patios. The paths and gardens lead you to the Petanque and Bocce courts, swimming pool, greenhouse and meditation gardens. To further enhance this wine country lifestyle, there is a Wine Cellar and Tasting Room complete with all the amenities necessary to host very special soirees. Guest quarters and Barn complete this "Quintessential Wine Country Estate". All this only minutes to the world famous Healdsburg Plaza. Gorgeous construction and significant architecture this home is comprised of concrete, wood, copper and stone. This private home is situated in a coveted Healdsburg neighborhood embracing the wine country yet minutes to the downtown. This open floorplan offers 3281 sqft of living space with the master bedroom and bath on the main level. Features, gated entry, copper clad door, concrete counters, firepit. Pristine home downtown, newly built. Granite counters, stainless steel appliances, low maintenance yard, front and back. Contemporary open floor plan. Just a short distance to the prettiest town center ever! This well built home is being offered for the first time by the original owner. This jewel offers 3 beds, 3 baths, 2233 sq ft, sunlight, and views of nature and forest. Situated on a choice 2.22 acre parcel of gorgeous gentle land, experience wildlife, horse/hiking trails, and privacy without seclusion. The kitchen is updated, fresh, and modern. Home features gorgeous hardwood floors, hot tub, and jetted tub in master suite. There's an attached 2-car garage and nearby 400 sq. ft. workshop/wine cellar! Appropriately located at the end of the road called Buttercup. Wonderful single story home, updated and move-in ready! Offering 3 beds, 2 baths, new carpet, updated bathrooms with granite and tile, nicely landscaped front and back, some hardwood floors, bright well planned kitchen with Corian counters, an outside living space complete with a Pergola and beautiful cook station! 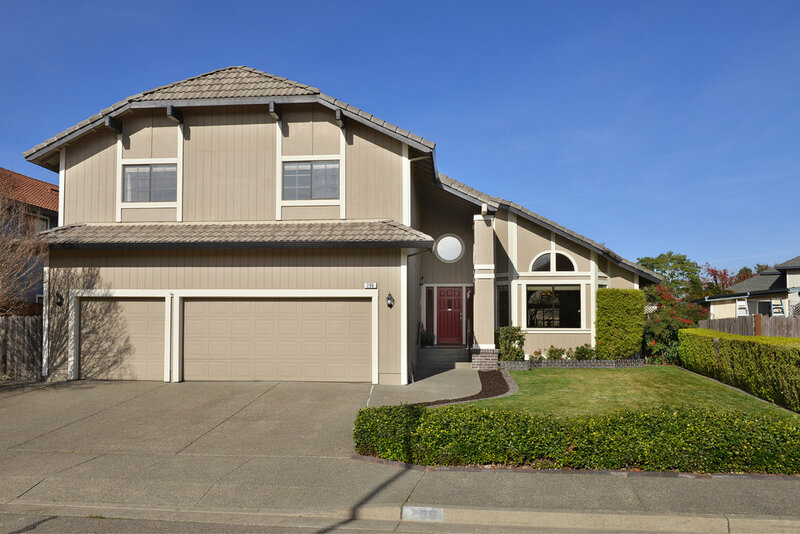 This is a ideal home located in Healdsburg! Extreme entertainer’s dream home, close to Annadel Park. The beautiful outdoors offer a bocce court, huge pool, and a pool house complete with full kitchen and fireplace. This home offers a welcoming foyer, formal living room with fireplace, family room with fireplace, formal dining room, kitchen with an expansive solid granite counter, butler’s pantry, and walk-in pantry. There is an en-suite bedroom/office on the main level and 4 bedrooms and 2 full bathrooms upstairs. Many elegant upgrades include gorgeous solid wood floors, crystal chandeliers, and crown moldings. Perched radiantly on a knoll, this tranquil Bella Villina is situated just minutes from many world-class wineries and the famed downtown of Healdsburg. Designed in classic Tuscan style with 4,000 square feet of interior space, 3 bedrooms, 3.5 baths, library, 350 bottle wine storage, alder and mahogany doors. This storied villa presents outdoor loggia with splendid views of the surrounding vineyards and a 2-acre Cab Sauvignon vineyard. Set in North Healdsburg, rests this magnificent Wine Country estate. This home achieves the perfect balance of detail, scale and beauty. 4beds/3ba, 3250 sqft. Included are 2 lovely 1bed/1ba cottages, solar heated pool, stunning gardens, 1800sqft of decks, thoroughly remodeled throughout, tall ceilings, open floor plan, exotic granite countertops, built-in outdoor kitchen, and an elevator! This home offers it all! Here is the Beach House you were searching for! White water views, gorgeous brand new modern 550SQ.FT deck, open floorplan with chef’s kitchen, loads of pantry space. This home is luxurious yet accommodating with a wine cellar, large outdoor dogrun, 2car garage, outdoor storage for the surfboards and kayaks! This is the Coastal retreat to really unwind and bask in the beauty of the pristine Dillon Beach coastline.